The course is structured in three Sections, with four parts to each section. 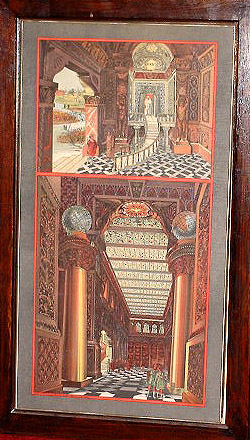 Section One is required to be completed by Entered Apprentices prior to their promotion to the Second Degree, Section Two by Fellow Crafts prior to their Raising, and Section Three by new Master Masons prior to them receiving their Grand Lodge Certificate or being eligible for appointment to any lodge office other than Steward. The aim of the course is not to make candidates "experts" in freemasonry, but rather to give them a broad knowledge of its principles, teachings, history and workings. The syllabus for the course, set at "High School" standard, involves candidate's reading elected extracts from various applicable Masonic books. Thus, a candidate is not required to gain and consult any books, per se, although an extensive "non-compulsory" reading list is attached for those desirous of extending their knowledge further.